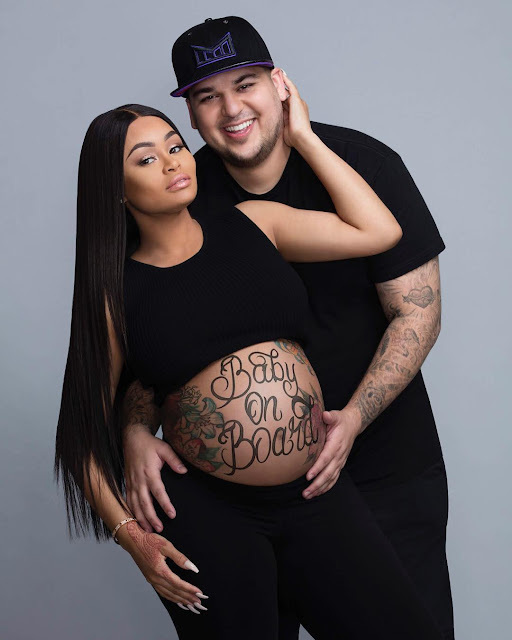 Blac Chyna and Rob Kardashian welcomes Baby Girl... Her name is Dream Renee. Just confirmed, Blac Chyna and Rob Kardashian have welcomed their first child together. Their baby girl, who they named Dream Renee Kardashian, arrived at 9:18 a.m. PT weighing 7 lbs., 5 oz. via C-section. Renee also is Chyna's middle name. The little baby is gorgeous and has tons of hair. Chyna and Rob arrived at the hospital at around 6:40 a.m. PT Thursday morning and were joined by Chyna's mom Tokyo Toni, who was dressed casually in sweats and a hat. Rob couldn't stop smiling and also looked "giddy excited" as he and Chyna entered the hospital, Both looked comfortable in black sweatshirts and sweatpants. Kris Jenner and Corey Gamble also went to the hospital to be with Rob and Chyna.